The Foundation for Landscape Studies is pleased to announce the winners of the 2010 John Brinckerhoff Jackson Book Prize for recently published books that have made significant contributions to the study and understanding of garden history and landscape studies. The winners are listed in alphabetical order. 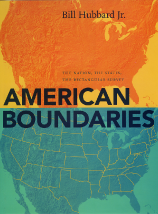 American Boundaries: The Nation, the States, the Rectangular Survey is the first book to chart the growth of the United States using the boundary as a political and cultural focus. The author explains how the original thirteen colonies and subsequently each state came to define its borders and assume its current shape. In addition, he explores how the country’s national boundaries were determined and how the policy came into being that yet-to-be settled lands within the federal domain would be held in trust for the common benefit. With the help of photographs, diagrams, and maps, Hubbard shows how this uncharted land was then surveyed and divided into mile-square sections (640 acres) forming a national grid beginning in Ohio and extending across the continent. He then outlines the settlement pattern of the country as the 640-acre sections were subdivided into 320-, 160-, 80-, and 40-acre parcels and sold to individual farmers and homesteaders. In Venice, a city where the land has been claimed from the sea, gardens have sustained life, provided beauty, and greatly enriched human culture. Professor Hunt’s approach is typological. The gardens he discusses – all of which are distinguished by their predominantly small scale – fall into the categories of private versus public, useful versus beautiful, and open space within the context of a densely built environment. 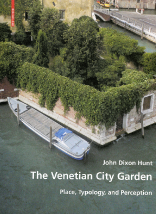 In The Venetian City Garden: Place, Typology, and Perception, he discusses both the social aspects and the design of nearly one hundred city gardens, squares, courtyards, public parks, and temporary gardens. These range from landscapes created two hundred years ago to the contemporary Paradise Garden designed by Gustafson Porter for the 2008 Biennale. In Unbounded Practice: Women and Landscape Architecture in the Early Twentieth Century, Thaïsa Way narrates the role of women during the years in which landscape architecture came of age as a recognized profession. Through the history and analysis of the work of such practitioners as Beatrix Jones Farrand, Marian Cruger Coffin, Annette Hoyt Flanders, Ellen Biddle Shipman, Martha Brookes Hutcheson, and Marjorie Sewell Cautley, the author has made a valuable contribution to a hitherto little-known and underappreciated area of landscape studies. The Foundation for Landscape Studies offers special recognition to social scientist Michel Conan for his extraordinary contribution to landscape scholarship during his decade-long directorship of the Garden and Landscape Studies program at Dumbarton Oaks. Breadth of knowledge, expansiveness of intellect, a critical eye, linguistic prowess, and mentorship are evident in the eleven volumes of the Dumbarton Oaks Colloquium on the History of Landscape Architecture series published during his tenure. A permanent record of the annual symposia, these richly illustrated anthologies contain contributions drawn from the diverse fields of anthropology, architecture, landscape architecture, history, philosophy, botany, archeology, and religious studies. Conceived, organized, edited, and in part written by Conan, they form an enduring contribution to our understanding of the significance, complexity, and richness of meaning to be found in this important branch of academic inquiry.